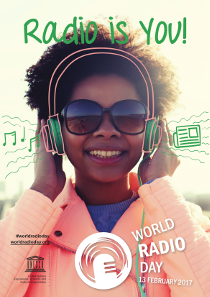 This year, the theme of the Day, February 13, is: "Radio is You!". As we are Radio too, we will celebrate again, but our way, being on the air with the special callsigns: AO1WRD, AO2WRD, AO3WRD, AO4WRD, AO5WRD, AO6WRD, AO7WRD, AO8WRD and AO9WRD; the whole weekend: from Friday 10 to Monday 13. This year the activity will start at 00:00 h EA 2017-02-10 (23:00 h UTC 2017-02-09) and end at 23:59 h UTC 2017-02-13 (00:59 h EA 2017-02-14).